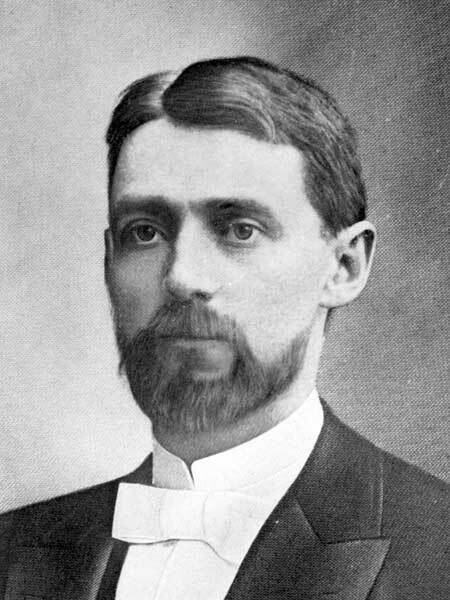 Born in Sweden in 1859, he emigrated to the United States at the age of 18, settling at Fargo, North Dakota. He represented a the interests of a hide and fur company from Chicago, continuing in the job until 1882 when he moved to Winnipeg and took up contracting work. In 1888 he opened a meat and general provision store on Main Street. The same year, he married Martha Jane Richards. They had two children: Carl Samuel Hample (1890-?) and Bessie Edwina Hample (1892-1969, wife of Charles Elwyn Fillmore). He was a member of the Masons, IOOF, and Christian Science Church. He died of tuberculosis at his Winnipeg home on 18 September 1899 and was buried in the St. John’s Cemetery. Obituary, Manitoba Free Press, 19 September 1899, page 6.